Shares of Power Mech Projects had a lackluster listing today with an 8.5% loss over its IPO price, despite a strong subscription in the IPO earlier this month. 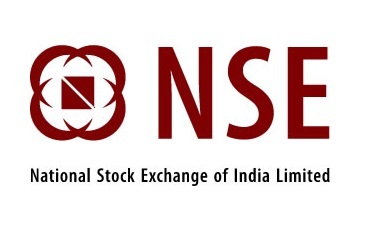 On NSE, the stock listed at INR600 apiece but slipped to INR580 per share pretty soon amid immense volatility. Although the shares moved beyond the IPO price of INR640 per share and touched an intraday high of INR663 briefly, there was not enough buying to support these prices. The stock closed the day at INR585.3 per share, marking a full 8.5% discount to its IPO price on India’s leading stock exchange. The situation was not very different on BSE. This marks a sharp contrast to the massive oversubscription of 38.1 times the IPO received in the bidding process. Nothing has changed fundamentally in the company’s business since 11 August, except a substantial reduction in investors’ risk appetite. Even though this Hyderabad-based company received favourable recommendations for the IPO, stretched valuations are now visible in the way the stock tanked right after listing. Although most of the volatility in the Indian market is caused by the financial tremors in China, there is no denying steep pricing played its role as well. Promoters and bankers have stopped leaving money on the table, which is required to withstand such temporary hiccups. On the other hand, IPO Central cautioned investors against the IPO, highlighting contracting margins, stretched working capital cycle, and Motilal Oswal’s almost complete exit. We are not trying to take anything from Power Mech Project. In fact there must be a reason that Motilal Oswal invested in the company but we do not like the idea of a prominent investor almost completely exiting the position while margins are declining (desperation may be the right word). We believe investors can do better with their hard earned money as lot more interesting IPOs will be available in coming months.